We turn any engineering project into practice, from its design to the efficiency maintenante, to the end of its lifecycle. Our skills are built upon a specialized knowledge base, matured over years of work for the semiconductors industry, and are applied in the field of hi tech industry plants. We guarantee high integration standards among the required industrial skills with a high content of technology in all the life stages of the plants, by designing and developing specific automation systems. Our know how is favoured by specific experiences branching off in several fields of industrial plant building and allows us to provide advanced services in terms of Global Mantenaince Service. Meridionale Impianti developed a considerable experience in the usage and implementation of these systems, oftentimes crucial for the proper functioning of small and big companies. The technological know-how, constantly improving, and the research activity, exploring the innovations of the domain, allow the company to implement solutions based on various technologies for the access control of sites with specific restrictions (RF instruments, biometric parameters based access, and so on), just like continuous loop video surveillance systems for sites usually not policed by people. The skills span across a several areas of application and may concern companies, industries, public places, construction sites, banks and any other site where it’s necessary a simple access control or gates management or a real people identification. Every project is studied to be tailored to the client, thanks to the extreme system flexibility and modularity, reaching the best possible result especially in terms of reliability and ease of installation and maintenance. The turnkey solutions range from the general design to the executive design and the construction and installation of boxes and field devices, some of which of exclusive property. Meridionale Impianti, thanks to its personnel highly qualified and certified by fireproof systems leading companies, designs and develops plants for the detection, evacuation, shutdown and supervision, in accordance to the existing legislation on national territory (UNI EN 12485 and EN54) and also to the more restrictive american legislation (NFPA 13 ed NFPA 15). The quality of the used products, chosen among the best on the market, and the cooperation with important productor companies, let the company to specialise and become established in the field of passive and active plant safety for the safeguard of people and protection of properties. As of today, Meridionale Impianti provides sprinkles systems of every kind, both of detection and shutdown, favouring different ways of provision and shutdown depending on the features of the areas and materials to protect, by using hydrants, sprinklers, dust and foam systems, inter gases, CO2 and by taking action in whatever situation requiring the full protection of wealths and people. The qualified support service, the ongoing legislative updates and the proficiency and availability of its workers make it possible for the company to guarantee prompt and timely answers to the client needs. The semiconductor industry and research labs use high-risk matters for humans and the environment: this makes absolutely imperative the presence of security systems that guarantee the prompt detection of potential hazard situations, such as gas leaks. 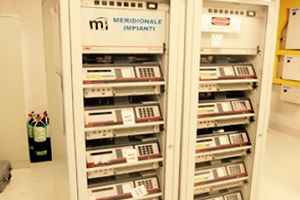 Thanks to partnerships with the main producers of safety devices, mainly used in the semiconductors industry, Meridionale Impianti reached a complete know-how in the implementation of such systems, and supervise every aspect, from the feasibility study to the preliminary design, from the final and executive project to the safety software development for managing the operation in case of leak detection. The company performs all the verifications and tests for the produced plants thanks to suitable and certified instrumentation, in accordance with the laws of reference for ordinary environments and for those under specific regulation, and the after-sales assistance for the same plants. The experience, commitment and professionalism of Meridionale Impianti in this field are acknowledged by third-parties and certifications earned from specialised institutions. In the majority of the industrial production activities is used a significant amount of water, that before being channeled into the receptor water body, must be processed and cleansed in order to remove hazardous substances and pollutants, so to meet the parameters and requisites identified by the in force laws for the safeguard of the health and the environment. 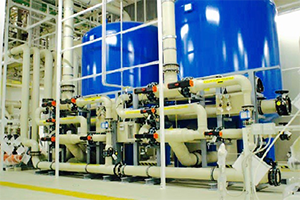 The experience gained in the creation of purification plants and the industrial chemistry skill of expert technicians make Meridionale Impianti a highly qualified business partner, able to design, develop and manage wastewater treatment, biological, tower circuits, closed circuits, potable water and deionized water plants. 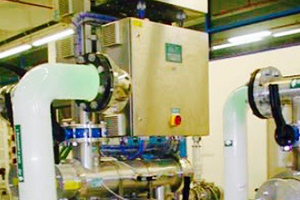 The research activity allows the company to develop tailored installation solutions and for every kind of industrial activity, and to fine-tune specific purification treatments for diversified wastewaters thanks to the application of the most sophisticated treatment technologies. Meridionale Impianti’s competence also contibutes to make the industrial process as efficient as possible, so to reduce management, maintenance and energy costs. One of the installation activities for which Meridionale Impianti surely owns solid experience and qualified professional skills is the Hook Up, that covers the linking up of process equipment to all services, including civil, electrical and mechanical adaptations to existing plants. The experience gained over hundreds of installations made all over the world, especially in the high-tech field, ensures a complete service in all the phases of the project and also a quallity consulting service, including Project e Construction Management, Planning and Scheduling, Quality Assurance and Quality Control and every other technical aspect related to the Tool Hook Up Package. Meridionale Impianti develops supervision and automation systems (HMI, DCS, PLC, SCADA) according to the most recent technologies and using advanced products, with a twofold objective of both simplifying production process operations and increasing efficiency. 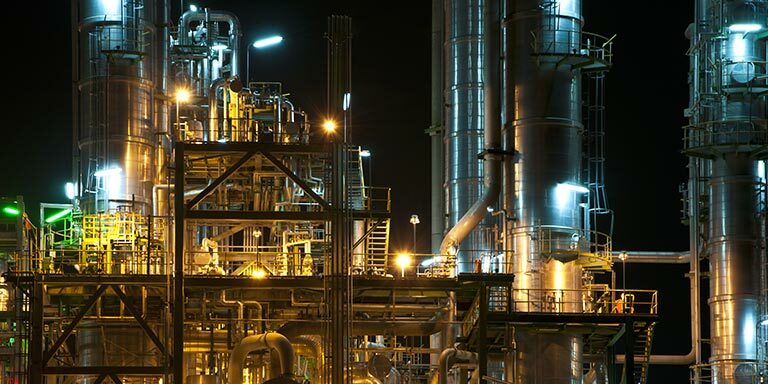 The acquired experience allows to implement automation and control systems (FMCS, Facilities Monitoring & Control Systems, access control systems, fire-fighting systems and smoke detection, and the list goes on) for different kinds of plants and different complexity levels, minimising the TCO (Total Cost of Ownership) items and enhancing production flexibility, placing itself at the highest levels of security and quality. Fluid and thermo dynamics are long used in several installation environments, but only in the recent years the market demands, peculiar needs and law upgrades have encouraged research and testing. 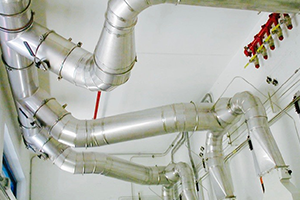 Meridionale Impianti is pioneering in the design and development of HVAC systems (Heating, Ventilation and Air conditioning), in order to ensure maximum environmental comfort in the areas to beck in the industrial, commercial, civil and tertiary fields. The high degree of skill stems from the development of techniques and the selection of components and materials for Clean Rooms, where the HVAC plants, that have to withstand special conditions of temperature, humidity and dust pollution, reach the highest degree of complexity, since they are integrated with powerful filtering systems, air laminar flows, control and automation systems. Efficiency, energy retrieval and advanced automation and control systems define optimal and functional installation solutions for cutting down on consumptions and complying with the recent energy saving laws. A methodology that goes fully in favour of the reduction of recovery time and the amortisation of the starting investment, in accordance of an initial economical analysis that wants the usage of financial engineering instruments. Meridionale Impianti offers a high specialisation in the design and implementation of gas and ultrapure chemical systems and plants. 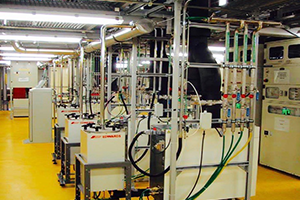 For the systems that ought to be characterised by parameters of high design quality and high distributed fluids purity, we use stainless steel components with finishing (electropolishing) and sub-micron internal superficial roughness for gases or PFA components, metal free for chemicals, and an implementation in environments with controlled contamination and environmental parameters (Clean Room). Experience and proficiency of specialised technicians allows to design and build a wide range of industrial gas and ultrapure fluids decompression and mixing systems, “turnkey” solutions and customised implantations based on specific client needs, complete with control and/or supervision systems (SCADA). The constant research and implementation of advanced technologies grants optimal solutions on targets such as security, toughness, reliability, efficient production processes and costs optimisation. All the systems and plants are made according to the existing rules, CE or ATEX FM approved certificates or the SEMI directives. The company analyzes and certifies plants and single components, by checking the polluting substances and residual impurities (particles, humidity, oxygen, THC, etc) thanks to complex sets of analysis instruments able to monitor polluting wastes values of the order of PPB or PPT.